sometimes I try to peek inside or put it up to my ear to see if I can still see or hear anything from the sea. but I bet you may even do it too or have see some doing it. Doesn't it just make you smile! As I conclude the brag about my team, you should know by now that I love them. I feel they are the best and since all of them are on other awesome teams, I know others agree, that these ladies are amazing. Pam is such a delight. She is my go to for advice, especially when it comes to what is fair in the industry, and how to grow my company to create designer jobs. [Hey, I know you can't always eat paste and embossing powder!] Pam, is such a supporter of her companies and I love how she is able to always promote everyone together or apart. 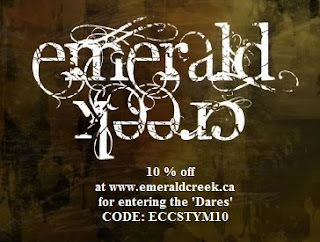 When I first saw Pam creating with the Emerald Creek Products, her design was so unique and blended I kept seeing Graphic 45. Upon study of the pieces, I realized Pam was (and is) a genius! Never in a million years could I have seen my stamps, creating those patterns, nor could I picture them in her choice of colour palettes. She also crossed over seasonal stamps flawlessly, making all stamps for year round creative fun. Brilliant! Don't miss more of Pam's amazing paper art. 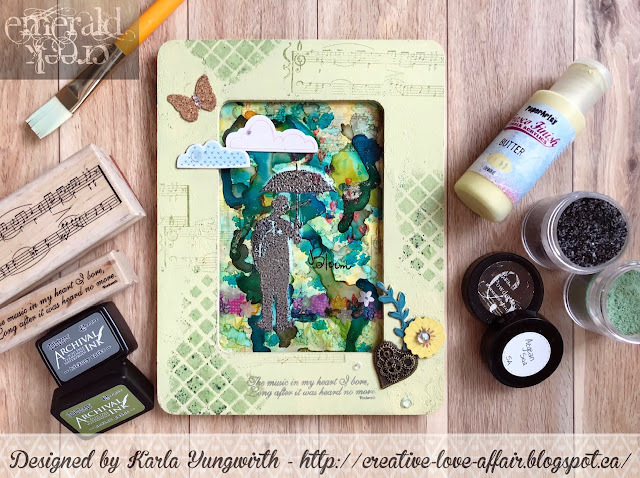 Follow her blog at Scrapbook Flair & Design Teams: Eileen Hull Inspiration and Artist on the Block, Stampendous, Craft Hoarders Anonymous Monthly Blog Hop, Emerald Creek Supplies, Gypsy Soul Laser Cuts, Graphic 45 Design Team, MayArts Ribbon. 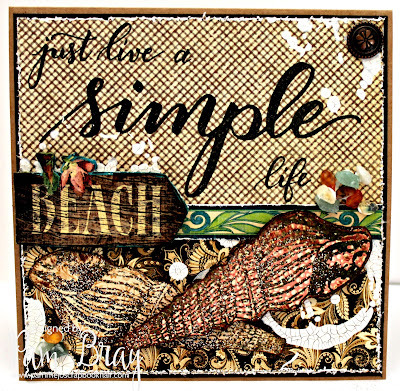 Kelly Klapstein Simple Phrase Set Stamp. Claudia, it is hard to choose a favourite piece from you but the one I do hold dear was my custom Wonder Woman logo you made for me last September out of embossing powder. It will be forever placed on my wall. Thank you! Don't miss more of Claudia's amazing talent. 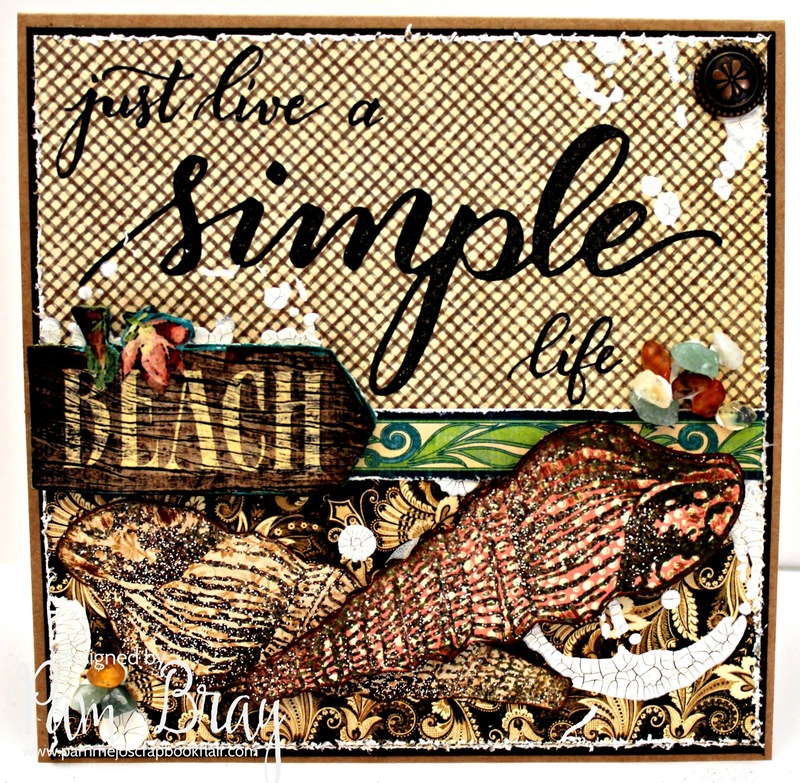 Follow her blog & Design Teams: DecoArt, Calico Craft Parts, Canvas Corp Brands, and other amazing challenge blogs. Today she created an amazing canvas to share with us. I love the simplicity of the layers, the brilliance of the colours, and the accent of the embossing powders. Please follow along and share in the love and inspiration Josefine inspires us with. Wow, I’m in love with the Emerald Creek embossing powder and at the end of this project, you’ll know why. Well, I was before, but this project left me in aaaw. I found a pair of wings and a metal flower the other day, so I wanted to create a sunset background for them. I started by painting the ocean. Next up, the sunset. The first layer was just about getting paint onto the canvas. Second color, but no blending yet. I added the third color on top, but still didn't worry about blending. The last color had to fill up the rest of the canvas. Now I started with blending the paint. I used a sponge brush and dabbed back and forth between the colors. I added a little more color to simplify the blending. I always focused on the two adjacent colors and dabbed with both of them back and forth. Then I added the reflection of the sun to the water. I blended the white with the sponge brush and my fingers. I also added a little black to the corners to frame the scene. Then I gessoed the wings with two coats of white Gesso. I blended some gold ink on top to add a settled shimmer. The tips of the wings needed more gold, so I heat embossed them with Emerald Creek Charred Gold. I added three layers by dabbing Versamark onto the wing. I briefly gessoed the metal flower and spritzed some water on top. I used the water to keep the Emerald Creek Fractured Ice embossing powder in place. Then I melted it, so it looks like water droplets. Careful, it's hot! This was my squeak moment. I was sure that the Fractured Ice embossing powder would look cute, but this? You should have seen me, lol. I adhered the wings onto the canvas first and then added the flower on top. The flower needed a little stronger gel medium. Here are some more close ups, so you can see how gorgeous the embossing powder is. I’m still in aaaaw and can’t wait to use these for other home decor projects. Kim, thanks again for having me! I always enjoy creating with your products!